The leader of Spelthorne Council has reiterated his disdain towards Jockey Club proposals to bulldoze Kempton and argued the government's new housing white paper strengthens its case for being "vehemently against" a plan that would turn one of Britain's most famous racecourses into a housing development. Communities secretary Sajid Javid on Tuesday stressed to MPs his desire for more affordable housing to be built but, in a commitment that boosted those fighting to save Kempton, he declared the green belt can be built on only "in exceptional circumstances". That seemingly represented a blow to the Jockey Club, which was described on Tuesday as "disingenuous" by Spelthorne's leader Ian Harvey. The Club's senior steward Roger Weatherby has used an article on this website to press the organisation's case Kempton must be sold in return for up to £200 million. Weatherby's stance has appalled not only Kempton's local council but also local MP Kwasi Kwarteng, those who live in the area and the majority of racing professionals and fans. Harvey, who recently described the Jockey Club's aim to build 3,000 houses in partnership with Redrow Homes as "a hopeless cause", said: "Before the white paper came out there was speculation it would make it easier to build on green belt. I feared it would make it more difficult for us to protect Kempton. My understanding from what I've seen is it will not do that at all. "My council's position is that we are vehemently against developing Kempton or any green belt within the borough of Spelthorne. That's also the view of the local residents. Today's news reinforces that position. 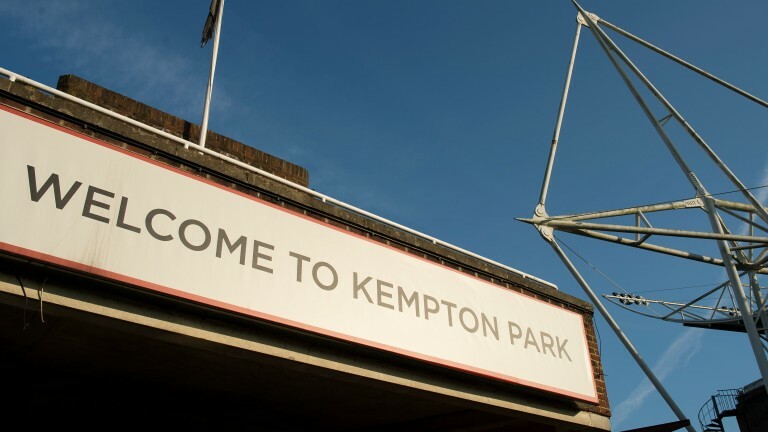 We have every intention of protecting Kempton Park from development as far as possible." Harvey added: "The call to sites we made was a statutory process we had to go through. It wasn't that we felt we needed some more land and sent out an open invitation, which is the way the Jockey Club have been portraying it. "The Jockey Club led everyone to believe we'd been asking for sites and that they had offered theirs sacrificially on an almost altruistic basis to help poor Spelthorne. That's absolutely not the case. "An hour before the Jockey Club made its announcement I was contacted by agents for Redrow saying they had put the whole site forward but that we shouldn't panic as it wasn't their intention to seek development of the whole site. Lo and behold, the Jockey Club then announced it does want to build on the whole site. "If I'm being polite I'd say that from the very beginning the Jockey Club has been disingenuous." In a further example of hostility towards the Jockey Club, the Keep Kempton Green pressure group has appointed a barrister to represent its views, and spokesman Alan Doyle said: "One hundred per cent of people around here don't want this." The Jockey Club has an ambitious ten-year plan to invest £500m into racing through record prize-money, the transformation of Sandown into a 'super track' and the building of a new floodlit all-weather track in Newmarket - plans which depend on securing planning approval for Kempton. Jockey Club member Sir Evelyn de Rothschild, who was chairman of United Racecourses when it owned Kempton, condemned the plans as "an act of cultural vandalism". In the latest bid to win over sceptics, Weatherby says that while he understands the depth of feeling, the decision was taken in the best long-term interests of racing. "Nobody celebrates the prospect of closing a racecourse," he writes. "However, the Jockey Club does not exist solely to focus on preserving racing's past and managing much of its present . We also have a duty to plot a course for its future. We must not be afraid to change for the right reasons, n or be afraid to take hard but sound decisions for the long-term good of the sport." The Jockey Club said the site had to raise in excess of £100m for its plans to go ahead, but Weatherby now stresses that substantially more could be raised. "A number of factors, such as the maximum area being approved for development, would make this sum considerably larger – even up to double," Weatherby says. He said a series of meetings would take place with industry bodies, horsemen and other stakeholders to explain the benefits that could be reaped at Sandown - to where JCR hopes to transfer the King George VI Chase - Newmarket and other Jockey Club racecourses and training areas.